323i 5 speed normal box built in 1981. So how come SAZ's has got a one in front and not a zero? What the hell does that mean? 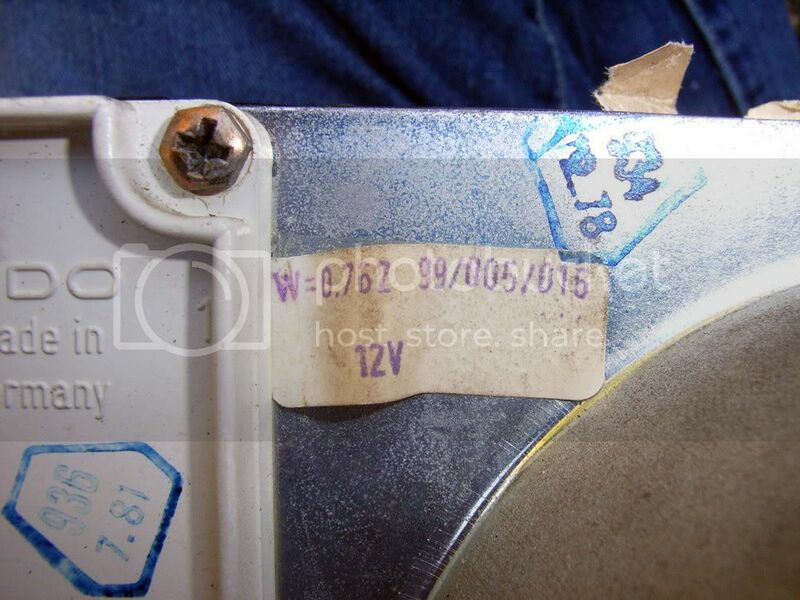 Here is the 320/6 speedometer markings. What the hell do all these different numbers mean anyway? Strange indeed! Maybe the 0 has something to do with kms and the 1 with mls? W-0762 EG, on both cars. One has 3.5 final drive and i suspect the other does too. Realise your most cherished desires by defending them from your casual wishes! Well thanks for your info and great pics... and the first time I see a 0.854 speedo! No markings at all, not on the front, and not on the back, OR inside. This speedo was jerky, and making all sorts of noise, like a bad bearing... the car had sat for a long time, over 4 years, before I got it. I greased the cable, thinking that was the problem, but it didn't help. I found this post earlier this week, so when I took it apart to fix the speedo (just needed disassembly and lubrication) I looked for the correction factor. 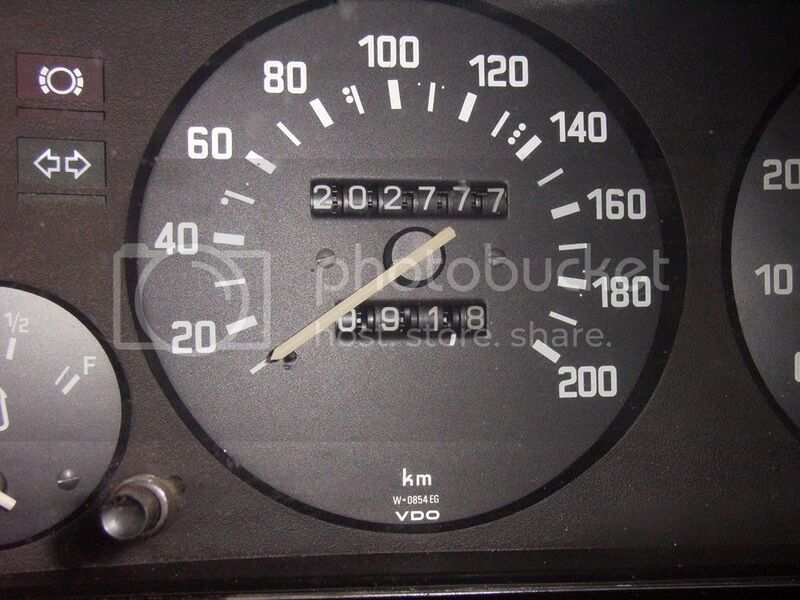 I am not sure what this speedo is out of, as it is NOT the stock speedo for this car, this speedo was installed when the car was imported, back in 1985, into the US. 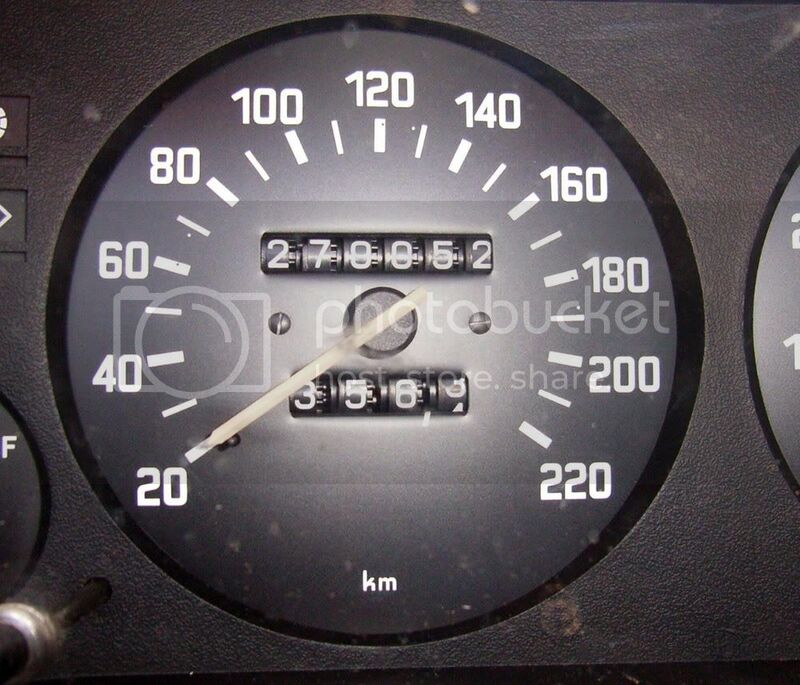 The mileage was matched with the old speedo when installed. This was done by a company to "Federalize" the car for US regulations. The speedo is not the stock one, and it is not a 1982 US spec 320i speedo either... not sure WHAT it is, but it isn't marked. The odometer is off too, but not as badly, it is .1 mile off, every 7.5 miles, or one mile at 75 miles, in other words, go 75 miles and it is reall y 76 miles.... Strange that the Odometer would be incorrect in the OTHER way. Speedo registers TOO FAST, Odo registers TOO SLOW? Last edited by quaddawg on Mon Dec 10, 2007 4:50 pm, edited 1 time in total. 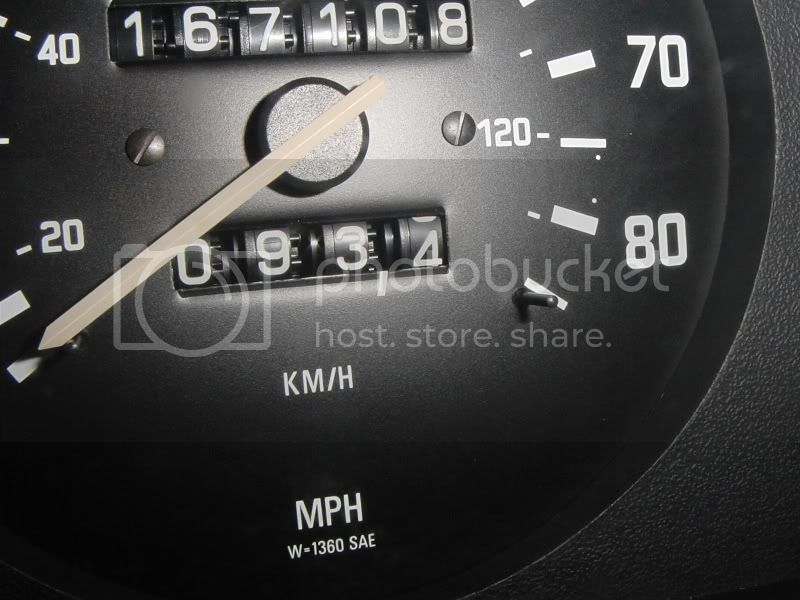 I have the same thing with my speedo, I never know how fast i drive. Its not what you know, it's who you blow! 1983 316 5 speed (eco? ) 3.91 diff ?